Greg Joined MVS at the start of 2001 as a locum for the small and large animal team after recently returning from the UK having locumed there for 2 years. 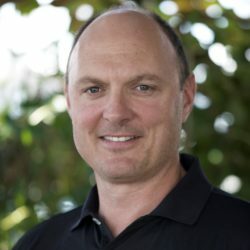 Greg graduated in May 1996 from Massey University and began work in Waihi as a mixed animal Veterinarian. After 18 months he moved to Anexa Morrinsville (Animal Health Center at the time) where a further two years were spent before heading off on his OE to the UK. Greg now spends his time working alongside local farming clients doing both ambulatory work typical of Veterinarians and additional nutritional planning for farms. Greg has a keen interest in Ruminant Nutrition and his articles feature monthly in the Rural News where topical farm issues focussing on mainly nutritional issues are discussed. In February 2017 after 20 years since he last formally studied, Greg dusted off his books and enrolled in the MVM (Masters in Veterinary Medicine) program held extramurally through Massey University. Outside of work Greg enjoys road cycling having completed the Taupo Cycle challenge 6 times now, traveling with his family and barbequing up a storm in his spare time. Grant Fraser joined MVS in January 2012 as part of the Farm Veterinary Team. 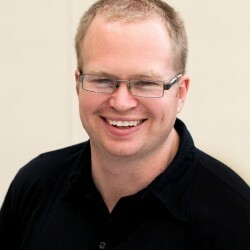 Grant graduated from Massey University in 2006. He initially worked in a dairy practice in Te Awamutu for 3 years before moving to the UK to work in rural practices in Cornwall, Wales, Staffordshire and Derby. Grant is a key member of the Farm Team with interests in mastitis, reproduction and nutrition. Outside of work Grant has recently retired from playing rugby and is busy raising his son Angus with his wife Rhona. As his young family matures, he hopes to be getting back to surfing and mountain biking, plus following his son in his sporting endeavours. Rhona joined MVS in April 2017 as part of the Farm Veterinary Team. Rhona graduated from Glasgow University in 2004. She worked in mixed practice in Devon before coming to the Waikato in 2007 to work in Dairy practice in Te Awamutu, where she met Grant. They locumed round the UK working in Cornwall, Somerset, Wales, Staffordshire and Derby before returning to NZ in 2012. Rhona worked as a dairy vet at Vetfocus Putaruru before taking some time out with her son Angus. Rhona is a member of the Farm Team with interests in nutrition, calf rearing and reproduction. Outside of work Rhona enjoys raising Angus with her husband and fellow Farm vet Grant, she also enjoys mountain biking, running, baking and photography when time allows. Tom joined MVS in October 2017 as part of our Farm Team and as a locum veterinarian. Tom graduated from Massey University in 2011. Since then he has spent 4 years working in Southland as a large animal veterinarian and just over 1 year in Chile, South America working as a supervisor of multiple dairy farms. Tom’s interests within work include reproductive advisory for dairy farms and he also enjoys working with sheep, beef and deer farmers. He is keen to provide solutions for farmers that improve productivity on farm while maintaining a high level of animal welfare. Outside of work Tom enjoys participating in a wide range of sports including touch, social netball, squash, running skiing/snowboarding and waterskiing/wakeboarding. He also enjoys trekking, hunting and fishing. Other than sports, he enjoys socializing and likes to challenge himself by learning new skills. Christopher joined MVS in January 2018 as part of our Farm and Small Animal teams. Christopher graduated from James Cook University Australia in 2017. 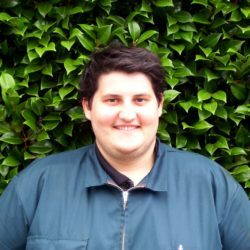 Whilst in his last year of University Christopher came to New Zealand and did some work experience in the Waikato, he enjoyed his time over here so much he decided it would be the perfect place to kick start his career. In his current role as our Production and Companion Animal Intern Christopher hopes to further build upon and refine his skills as a Dairy Vet. He has a special interest in Bovine reproduction and lameness. Outside of work Christopher enjoys a multitude of sports (NRL, Tennis, Cricket) to name a few, and some casual fishing. Sarah joined MVS in June 2017 as part of our Small Animal Team and then in June 2018 also joined the Farm Veterinary Team. Sarah graduated from Massey University in 2012. 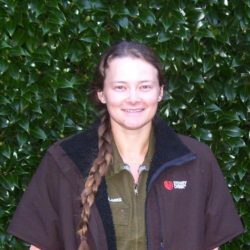 She started her career working in a busy mixed animal practice in New Plymouth. 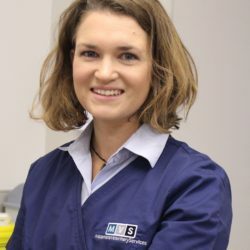 After 3 years in Taranaki, Sarah spent time traveling overseas and working as a locum in different vet clinics in the UK. Outside of work Sarah enjoys netball and outdoor activities such as hiking. 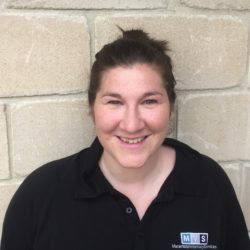 Amy joined MVS in June 2018 as part of our Production Animal Team. Amy graduated from the University of Queensland in November, 2017. Amy is working as a production animal vet with particular interests in reproductive health and lameness. 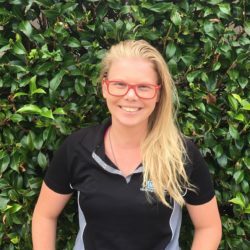 Outside of work Amy enjoys sports, anything from netball and Australian Rules Football to polocrosse, outdoor adventures and music. 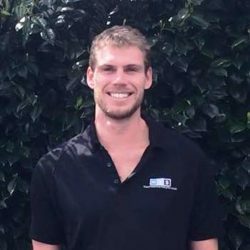 Ryley joined MVS in January 2019 as part of our Farm Services Team after graduating from the University of Queensland in November 2018. Ryley is working as a Production Animal Intern with a particular interest in calf rearing and reproductive health. She is also interested in herd health management of sheep and bull breeding soundness. Outside of work she enjoys hiking, swimming, horse riding and the gym.